Long before George Lucas sold his namesake film studio to The Walt Disney Company, he had forged an enduring bond with the iconic theme parks. From rides based on Lucasfilm properties to the Captain EO extravaganza and Star Wars Weekends, Lucas and Disney found much success in their shared interest in always pushing the envelope in entertainment. After Disney’s acquisition of Lucasfilm in 2012, those synergies have accelerated. At Celebration, the companies took the opportunity to look back, and ahead, at their creative partnerships in the Disney Parks. On Saturday afternoon, the panel titled “Star Wars and Disney Parks: A Galaxy in the Making” kicked off with a discussion of the existing Star Wars ride, which opened first at Disneyland in 1987 and now also finds a home at Disney’s Hollywood Studios in Orlando as well as Tokyo Disneyland and Disneyland Paris. 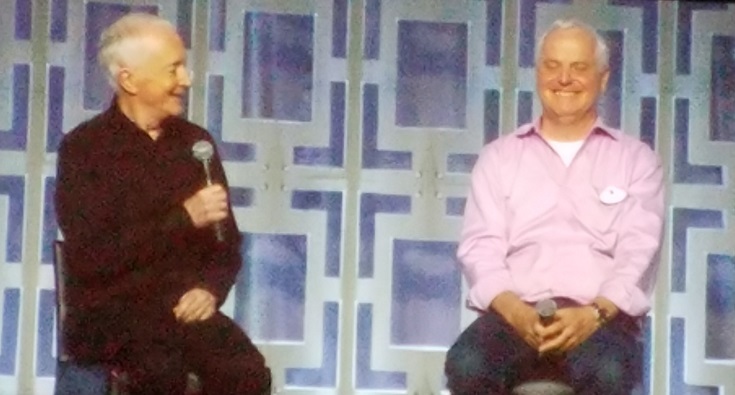 Tom Fitzgerald, part of the Imagineering team on the ride from its inception, shared the stage with Anthony Daniels, who has voiced Threepio’s involvement in the ride from the start, as well. Fitzgerald began with a brief recounting of the origin of the ride. George Lucas proposed one of the key components of the ride that set it apart from others at the time: the combination of humor with a thrill ride. ILM worked diligently on the effects shots, ensuring that they matched not only the look of the Star Wars films but also the high standards of Disney Parks experiences. The Imagineering team brought in Daniels and filmed his physical performance so that the motions of the protocol droid in the pre-ride queue would be as close as possible to Threepio’s movements in the films. Daniels noted that the first time he saw the final version, he had goosebumps. 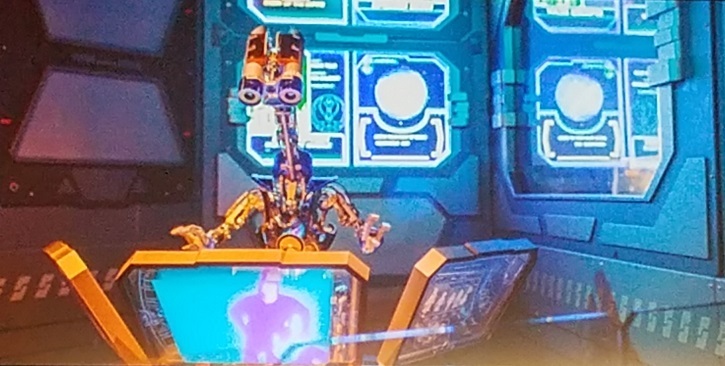 In a particularly amusing anecdote, Fitzgerald noted that the security droids in the queue had been added late in the process, so their animatronics were built quickly by repurposing two geese from America Sings. This led the team to give them the nickname “goose droids.” Fitzgerald remarked that in today’s social media age, the disappearance of two geese undoubtedly would be promptly noticed and reported, but three decades ago the abduction to finish Star Tours apparently flew under the radar. The original Star Tours ride was closed down in Orlando and Anaheim in 2010. 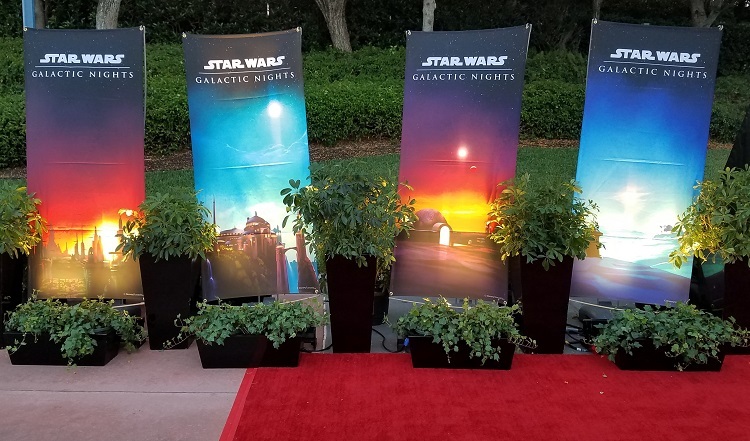 As part of Celebration V in Orlando, Hollywood Studios hosted a special event called “The Last Tour to Endor” to commemorate the ride’s final flights, as well as offering a variety of other unique experiences that reshaped the park into a one-night-only Star Wars venue. The upgraded ride, formally called Star Tours – The Adventures Continue, reopened in both locations in 2011. Daniels admitted to blushing upon being asked to take on a greater role in the new ride, in which Threepio would not only appear in the queue but also as the pilot of the Starspeeder. Fitzgerald explained that the upgrade to digital effects to incorporate Prequel Trilogy content also spawned the idea for the branching story. With the ride’s movie no longer limited to a looping film, multiple possible destinations could be Imagineered directly into the ride experience. 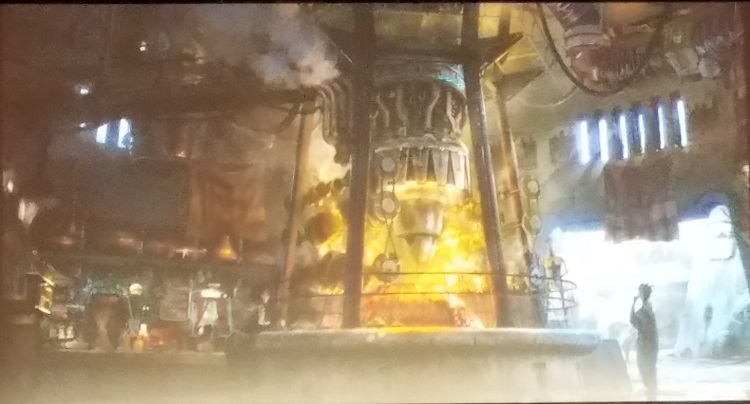 This also allowed for future additions to the ride, such as the Jakku destination added in late 2015 for The Force Awakens. Fitzgerald then revealed that ILM already is far along in the next new planet for the ride, the world of Crait first seen in the teaser trailer for The Last Jedi that had premiered the previous day. After the Star Tours segment concluded, Galaxy Stage host David Collins brought out a large group of panelists to discuss the work-in-progress that fans often call “Star Wars Land” – a term never used during the panel. The panelists included: Scott Trowbridge, Star Wars lead at Imagineering; Wendy Anderson, lead for live performances at Imagineering; Asa Kalama and Christ Beatty, executive creative directors for the project; and Lucasfilm’s Doug Chiang and Pablo Hidalgo, who both work closely with Imagineering on the project. From the moment the conversation began, it was clear just how ambitious and extensive the goals are for this new area of Disneyland and Hollywood Studios. It will provide not simply the ability to enter a realm that looks and feels like Star Wars, but also the opportunity to participate in the story of Star Wars. 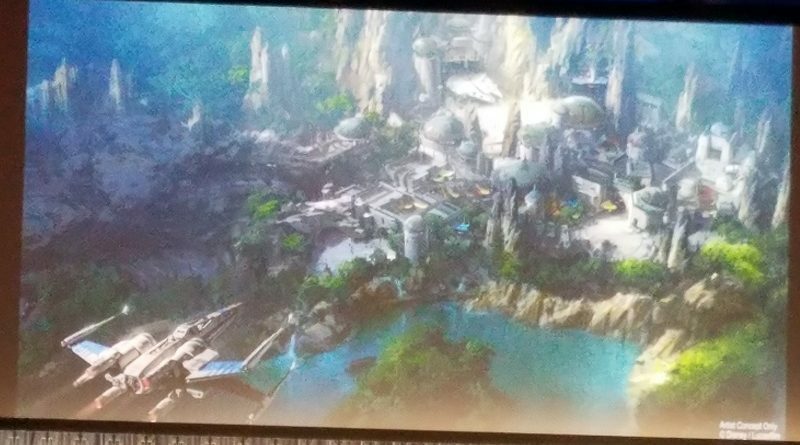 It will be far more than a destination where fans can visit the galaxy; it will offer an experience of being in Star Wars. The Imagineers and Lucasfilm are collaborating in a number of significant ways to pull off this massive endeavor. One aspect is the location presented in the project. 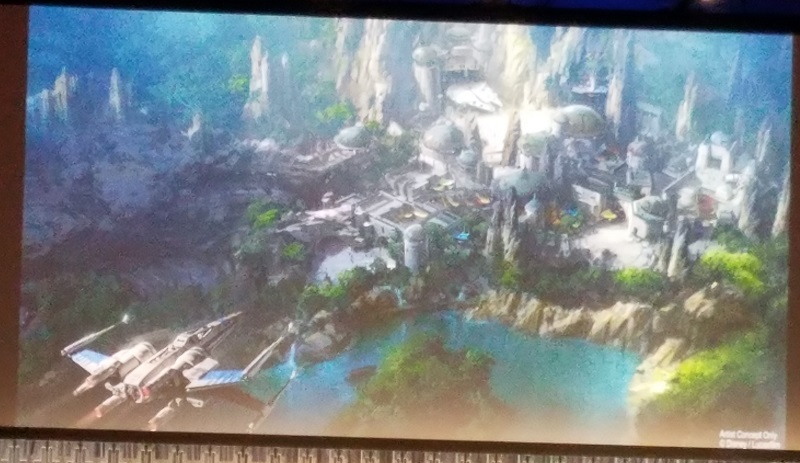 Hidalgo noted that it has been placed on the official Star Wars galactic map and the Story Group has contributed to fleshing out its role in galactic history. Moreover, decisions about its backstory were influenced by its placement on the map. 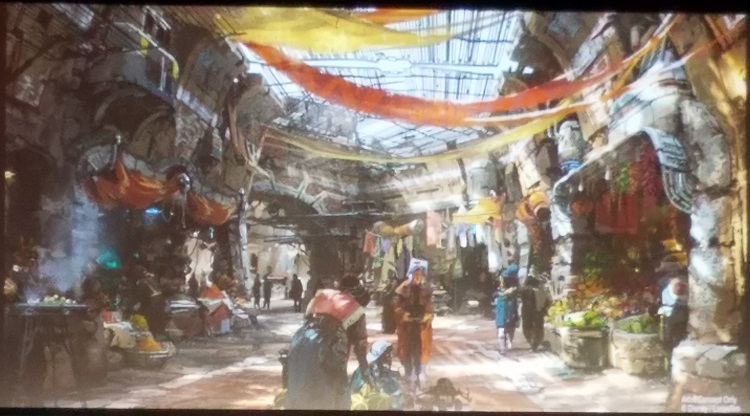 Trowbridge emphasized that while this frontier outpost will be new to Star Wars fans, it isn’t new to the characters who inhabit it. But the project is not just immersive – it is interactive. Park visitors are entering a Star Wars story when they pass into the outpost’s boundaries. Anderson explained that engagement with the characters is a crucial part of the experience, and the Imagineers have worked closely with the teams from the films to bring the same style to the parks. 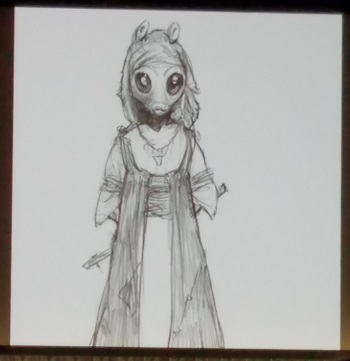 Kalama elaborated on the importance of the choices made by visitors: they might decide to aid the Resistance or the First Order, or eschew both sides of the conflict to take a side job from a bounty hunter. He also explained that the highly anticipated Millennium Falcon ride is not passive, but requires actions and choices by each crew about how they will fly the freighter – and those choices might follow you out of the ride, with certain characters less than pleased by the crew’s actions. 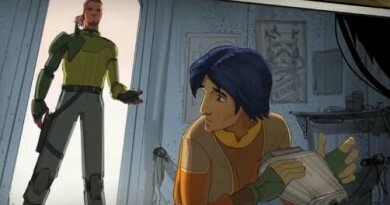 Hidalgo said that visitors will build a reputation in the Star Wars universe, with Anderson adding that this might result in someone coming looking for you. 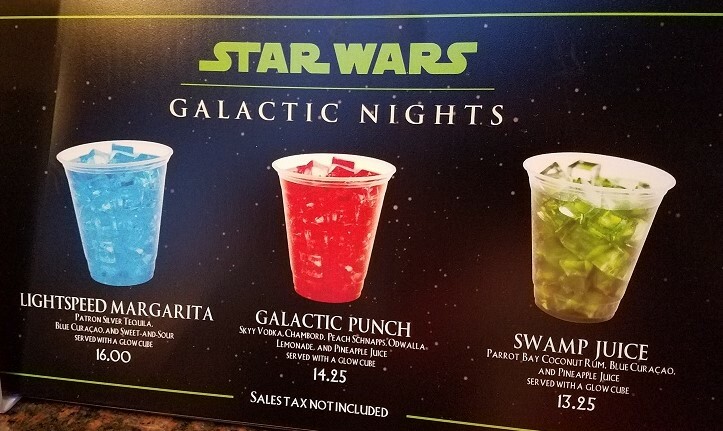 Unlike the in-universe experience offered by the upcoming frontier outpost, the five-hour Galactic Nights event was a real-world party tailored to the Hollywood theme of the park. The entrance through Hollywood Boulevard was decked out with a red carpet, with fans encourage to take photos like a movie premiere. In contrast to the usual prohibitions in the park rules, guests were invited to wear Star Wars costumes while attending. The stage in front of the Chinese Theater was rechristened the Rebel Base, with a DJ dance party and other events throughout the night. 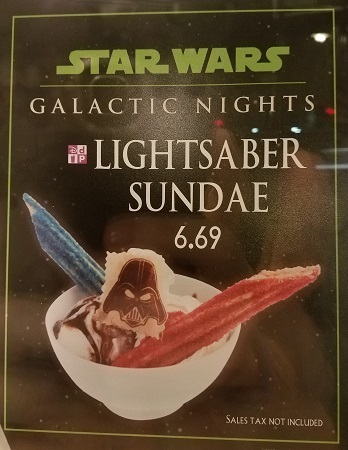 Star Wars themed food and drink were plentiful, with such favorites as lightsaber churros, Darth Vader cupcakes, and Lightspeed Margaritas. Fans also experienced a range of other special features at the event. Unique merchandise was available for purchase, including shirts and pins marked with the specific date of the event. 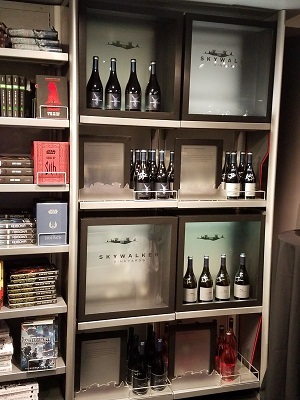 This initial Galactic Nights also marked the beginning of the availability of Skywalker Vineyards wine for purchase at the Launch Bay, and general manager Tom Johnson greeted customers and signed bottles. For only the second time – the first being the special event for The Force Awakens opening day in December 2015 – the Rockin’ Roller Coaster was transformed into a Star Wars edition, with John Williams music for the soundtrack and the lights dimmed to create the impression of a starfield rather than California highways for the coaster’s speeding journey. Fans could take pictures at eight photo spots set up in the park, and collect a sticker at each one. When affixed to the back of the Galactic Nights VIP pass hanging from the branded lanyard, they formed a poster-art style image representing all eight Star Wars films – with a special feature revealed only at the end of the night. In addition, familiar Star Wars aspects of Hollywood Studios ran in full swing. Younglings could participate in Jedi Training, guests could meet characters in the Launch Bay, and the night capped off with the Galactic Spectacular light show on the façade of the Chinese Theater. Reprising elements from Star Wars Weekends, which ended in 2015, the celebrity guests waved to guests from a motorcade up Hollywood Boulevard, and three times during the event Star Wars Rebels voice actor Vanessa Marshall hosted a Rogue One-themed Celebrity Chat Show on the Epic Stunt Theater stage with appearances by John Knoll and Alan Tudyk. While future dates for Galactic Nights events have yet to be announced, the first one proved to be a hit with fans. Keep an eye on the Disney Parks Blog for updates on when Galactic Nights will help pass the time until we can transport ourselves to the galaxy far, far away.